The North Platte Lady Bulldogs (4-4) earned the overall top seed in the upcoming GNAC Basketball Tournaments, set to be held in Columbus beginning December 27th. They’ll face sixth-seeded Columbus Thursday at 5:30 in their main gym. Other matchups on the girl’s side include #3 Hastings v #4 Gering and #2 Scottsbluff v #5 McCook. 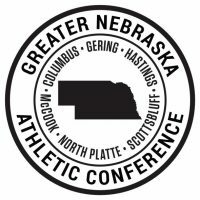 On the boy’s side, North Platte is the sixth seed overall and will face top-seeded Hastings at 2:00 PM in the main gym. #3 McCook and #4 Columbus will face along with #2 Scottsbluff and #5 Gering. Action begins Thursday and continues through Saturday, December 29th with games played all the way through fifth/sixth place. You can view the entire brackets here.